We’re very proud to announce that Brandon Stennis (@iamBrandonTV) is joining Versus Evil as our Influencer Manager. 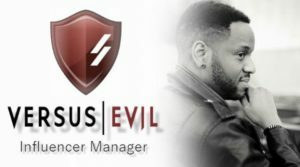 Brandon comes to us with an excellent background working on his own Twitch channel (https://www.twitch.tv/iambrandon) as well as previously being the US Community Manager for XSplit. We’re excited and looking forward to getting to work. If you are a content creator, please don’t hesitate to reach out to Brandon (brandon@vsevil.net) for any of our titles or if you want to work with us in any way, shape or form! We do want to give a special thank you to the amazing team and friends of ours at XSplit for being so amazing during this transition. We honestly can’t say enough nice things about you!